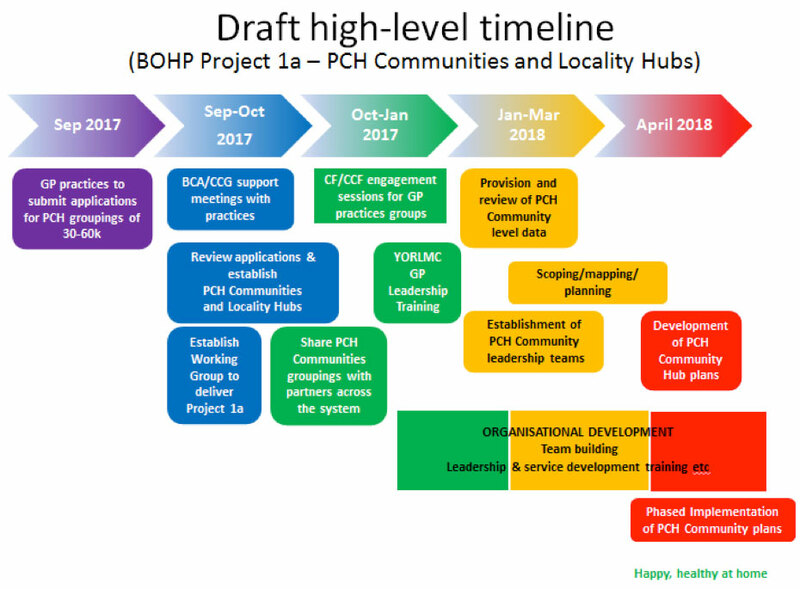 OUR partnership with Bradford Districts and City CCG to develop 10 or 11 new Primary Care Home (PCH) Community Teams, which will serve populations of 30,000 – 60,000 people, is gathering pace. The aim of developing PCH Community Teams is to bring together a range of health and social care providers, who will work collaboratively within a unified leadership team to identify local population needs. These teams will lead on the development, design, implementation and evaluation of service improvement initiatives. And, in turn, these initiatives will ensure the most efficient and effective use of existing resources to offer the best possible care for people to remain happy, healthy and at home. This new model of care is based on the NAPC Primary Care Home model. The NAPC is a membership organisation and it has rolled out this model across more than 210 sites in England – including ours. Improve health and wellbeing for patients. Can we work together to provide better population based healthcare? BCA is identifying the health and social priorities of our local populations with our colleague providers to improve health and wellbeing in Bradford. Improve the quality of care for patients and communities. What would you do to make the system work better? BCA is supporting new models of care to provide improved care closer to home. Improve the overall use of local health and care resources. How do we work together with the resources we have to make the system more efficient? We at BCA are working with health and social care providers to review care pathways and make them more efficient. Improve workforce satisfaction and reduce burnout. What changes can we make so colleagues enjoy their jobs more? We will support workforce development and explore integrated working with other service providers reducing the barriers that have developed over the years. Across Bradford District, there will be three larger localities – North, Central and South – which will serve populations of 130,000 to 185,000 people. Each locality will have a number of PCH Communities as detailed above. 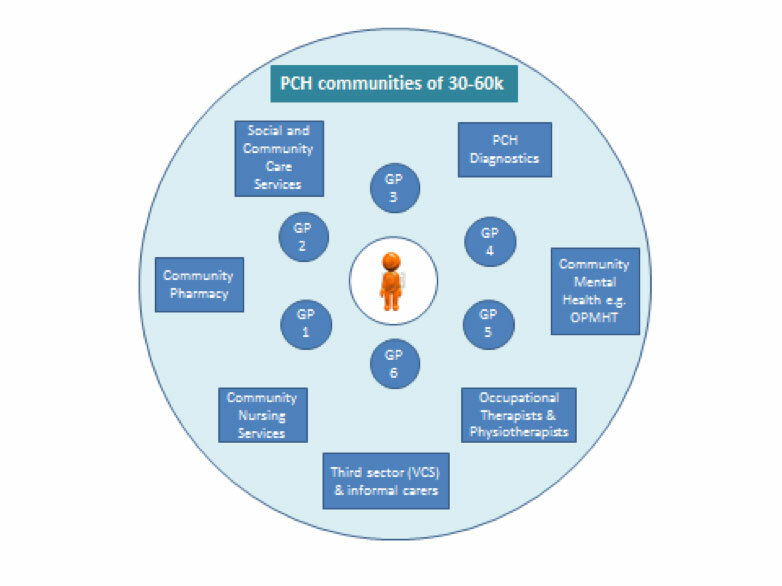 Some more specialist type services will be delivered at a locality level to meet the needs of populations across a number of PCH Communities more effectively. 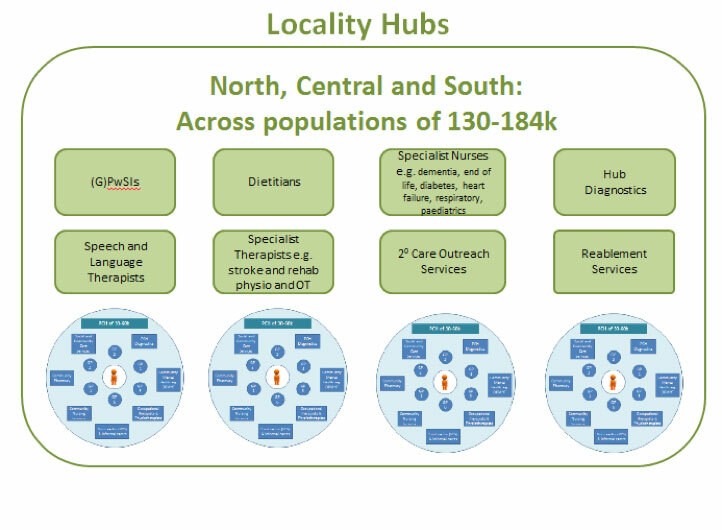 The diagram below provides examples of the types of services that could be delivered at a Locality Team level.